As West Linn begins work on a slew of general obligation (GO) bond projects, City staff noted during a City Council work session Tuesday, Sept. 18 that the council and community will have to adjust to a new reality due to the sheer scope of work involved. The City, after all, is required by law to spend 85 percent of the roughly $20 million in bond funds within the next three years. In a meeting that focused solely on park projects — which make up a projected $3.5 million in spending — staff briefed the council on the process moving forward and noted that some smaller projects will likely have to be completed without direct council oversight. "I don't think your meeting schedule will allow you to be involved in the details of every single project as it develops," City Manager Eileen Stein said. "There needs to be a balance in terms of the approach we take in developing, particularly, the park projects, to make sure that people can understand going forward what the project entails." "There are a lot of projects on the GO bond project list that are not going to trigger any sort of formal land use review," Community Development Director John Williams added. "We want to make sure we have clear direction from the council on what you want your role to be." 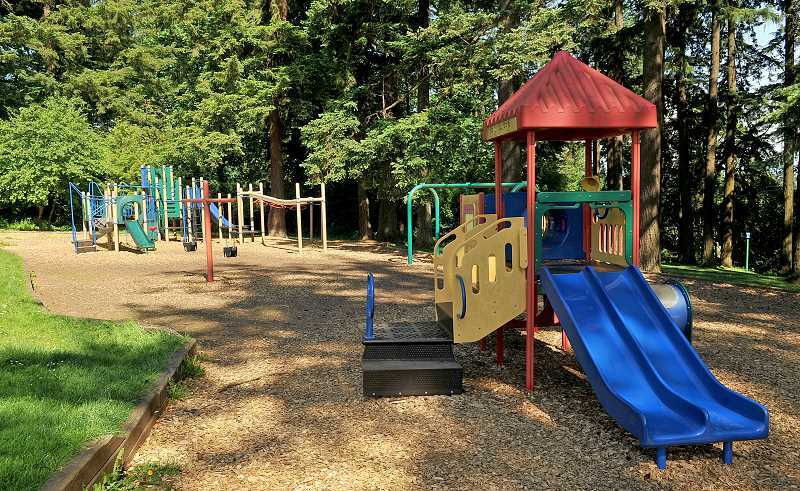 With regard to park projects — which include everything from renovations at sports fields to routine repairs/replacements and more significant upgrades like paddle craft launches and new playgrounds — staff divided the work into three categories: small, medium and large. Small projects, most of which are projected to cost less than $100,000, will generate what staff termed a "heads up" to the council and neighborhoods, but not formal hearings or work sessions. Medium projects make up the bulk of the work, and will require more outreach to neighbors, a council work session and formal council approval of contracts. Large projects, of which there are only two, will have a council work session specifically dedicated to the topic as well as more substantial public outreach and planning commission hearings. To augment these approaches, staff is also developing a page on the city's website that will help residents learn more about projects and track their progress. "We're actually creating a whole new home for these general obligation projects," Williams said. "There's going to be a financial dashboard available to the entire community and a project page for each project — a description of what the projects are, generally when we expect to be able to do it (and) a general price tag." He added that the hope is to have a demo of the page ready within the next two weeks. The two "large" projects are set to take place at Sunset Park and the Willamette River waterfront area. "In Sunset Park, you have a complete redevelopment of the park," Williams said. "That includes new layout, new facilities, pretty much making it into a brand new park." The former Sunset Park was essentially removed when the adjacent Sunset Primary School was rebuilt. The waterfront park, meanwhile, would be placed in a yet-to-be-determined location along the river, improving water access for swimmers, kayakers and more. "That has a significant amount of money set aside in the bond list, but we don't know a lot about it yet," Williams said. "Those two projects fall into this 'large' category, which we see having significant community involvement — probably a significant land use process, concept plans. A variety of work would need to be done." The council was impressed with the staff proposal for dividing the work. "I think it's a great approach," City Council Bob Martin said. "I'm really impressed that we're going above and beyond what's required by code for citizen input." "I support the idea, particularly with smaller projects, as long as information is easily available," City Councilor Teri Cummings said. As the meeting neared its close, Stein noted that it would be a particularly busy year for the council — especially once discussion begins on the other two project categories: city facilities and transportation. "If you think about the totality of the projects on the list and the work sessions needed here and there, I just want you to appreciate the amount of work session time we're going to need from you all in the coming year," Stein said.